Composed by Traditional. Arranged by James Gilbert. Contemporary Christian, Sacred, Praise & Worship, General Worship. Score, Set of Parts. 21 pages. Published by James Gilbert Music (S0.275309). For any combination of instruments with piano (or organ). 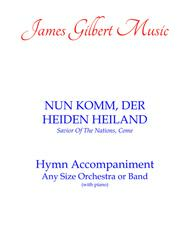 Part of our series of hymn accompaniments for instruments with piano. 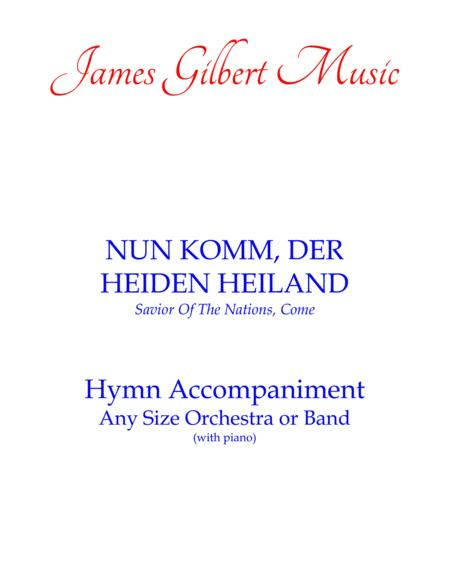 This is of the hymn tune NUN KOMM, DER HEIDEN HEILAND, better known as Savior Of The Nations, Come.